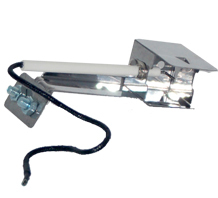 These parts fit the Brinkmann Model 810-9419-R Range Master Heavy-Duty Grill. Also known as the Range Master 9419. This is a 4-burner gas grill with an additional side burner. Brinkmann Cooking Grid Set, Cast Iron | 17-3/4" x 26-13/16"